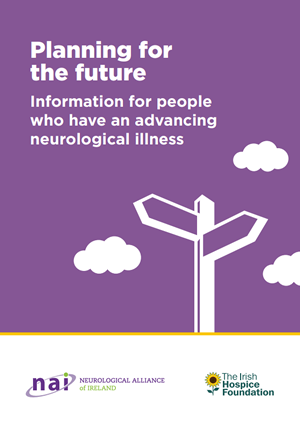 This booklet Planning for the future Information for people who have an advancing neurological illness is for people who have an advancing neurological illness and who want to make plans for their future. It may also be useful for family, friends, carers and health professionals. It is not recommended for people who have been recently diagnosed. If you are recently diagnosed please contact HDAI for information and support.